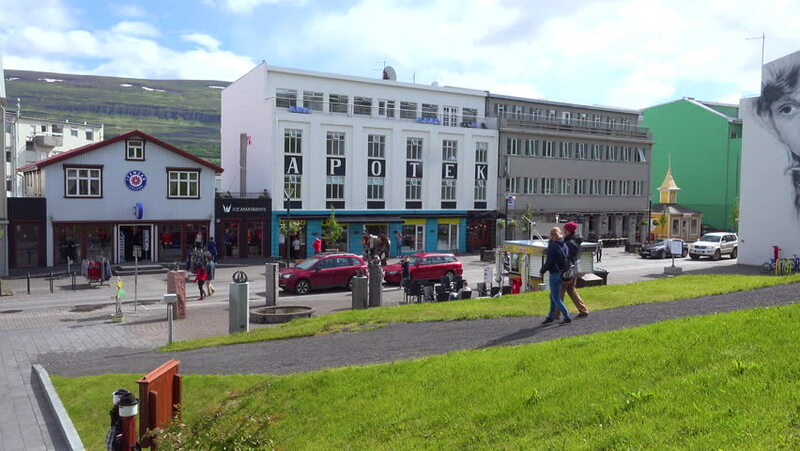 4k00:18ICELAND - CIRCA 2018 - Establishing shot of the quaint streets of Akureyri, Iceland. hd00:23CHIANG MAI, THAILAND - JULY 18 2015: Golden Dragon Bus of Green bus Company. Service bus in north region of Thailand. footage at Chiangmai bus station, thailand. 4k00:07TORONTO, CANADA - CIRCA JUNE 2015: Pedestrians cross and streetcars pass at the busy city intersection at College and Spadina Avenue with the CN Tower in the background, in Toronto, Canada. hd00:13Kirov, Russia in the summer of pedestrians, cars and tanks on the streets.